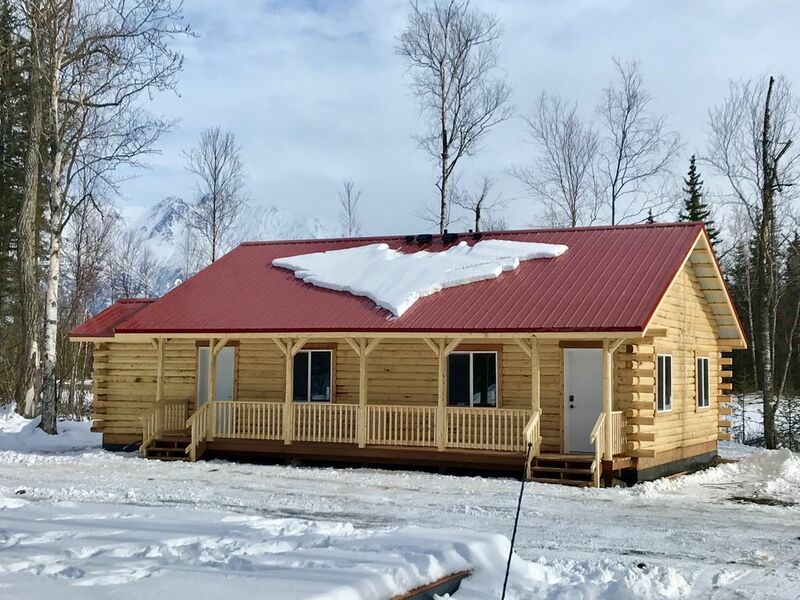 This is a brand new cabin set in the heart of the Knik River Valley. Towering mountains can be seen from every room. It has vaulted ceilings, rustic log walls and heated floors to keep those toes warm. Hiking, fishing and ATV riding are minutes from your door. Make this cabin your headquarters for your Alaska adventure. Have an amazing Alaskan adventure & still be 10 min from Palmer w/ great shopping & restaurants. Enjoy AK Reindeer farm 5 min away. 1 hour from Anchorage, 2 golf courses 15 min away, Musk ox farm across town, skiing & hiking at Hatcher Pass & Matanuska Glacier. Living room with fold-out couch. The cottage is new and you have everything you need but the road close by is too noisy.